04-06 Scion xA Sway Bars. Anti Roll Sway Bars for Scion xA. Adjustable Front & Rear xA Sway Bars by Hotchkis, Progress & More. Aftermarket Sway Bars are the Ultimate Lateral Handling Upgrade. Eliminate Body Roll with Performance Sway Bars. 04-06 Scion xB Sway Bars. Anti Roll Sway Bars for Scion xB. Adjustable Front & Rear xB Sway Bars by Hotchkis, Progress & More. Aftermarket Sway Bars are the Ultimate Lateral Handling Upgrade. Eliminate Body Roll with Performance Sway Bars. Description: ST Suspensions Front Sway Bar for 13-16 Scion FR-S; 13-68 Subaru BRZ 50228. ST Suspensions Front Sway Bar is now available. Front Sway Bar by ST Suspensions replaces the front factory anti-sway / roll bar to minimize body roll. 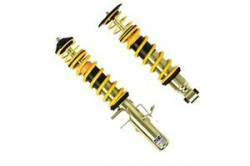 Description: ST Suspensions Sporttech Lowering Springs for 08-14 Scion xD 60383. Scion xD ST Suspensions Lowering Springs has been released. xD Sporttech Lowering Springs lower it 1.5" Front & 1.5" Rear. Gain better stance, handling & appearance. Description: ST Suspensions Rear Sway Bar for 13-16 Scion FR-S; 13-16 Subaru BRZ 51228. ST Suspensions Rear Sway Bar is now available. Rear Sway Bar by ST Suspensions replaces the Rear factory anti-sway / roll bar to minimize body roll. Description: 51227 ST Suspensions Rear Sway Bar for 05-10 Scion tC. Scion tC ST Suspensions Rear Sway Bar is now available. Scion tC Rear Sway Bar by ST Suspensions replaces the Rear factory anti-sway / roll bar to minimize body roll. Description: 51284 ST Suspensions Rear Sway Bar for 04-06 Scion xA / xB. Scion xA / xB ST Suspensions Rear Sway Bar is now available. 04-06 Scion xA / xB Rear Sway Bar by ST Suspensions replaces the Rear factory anti-sway / roll bar to minimize body roll. Description: ST Suspensions Sway Bars (Front & Rear) for 13-16 Scion FR-S; 13-16 Subaru BRZ 52228. ST Suspensions Sway Bars are now available. Sway Bars by ST Suspensions replaces both front and rear factory anti-sway / roll bars. Description: ST Suspensions Sway Bars (Front & Rear) for 05-10 Scion tC 52227. Scion tC ST Suspensions Sway Bars are now available. 05-10 Scion tC Sway Bars by ST Suspensions replaces both front and rear factory anti-sway / roll bars.